An organization composed of those aged 55 and over for promoting a closer fellowship. Visitors are always invited as well. 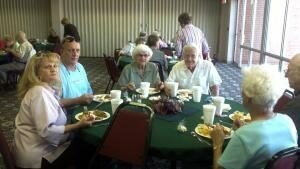 They meet on the first Thursday of each month and enjoy fellowship with a pot-luck meal and an entertainment program. LLL also enjoys taking trips throughout the year. Recently they have been to Branson and Lake Fork and will soon be on the road again.